‎I normally don't advocate defacing public property. Come to think of it, I don't advocate defacing private property, either. 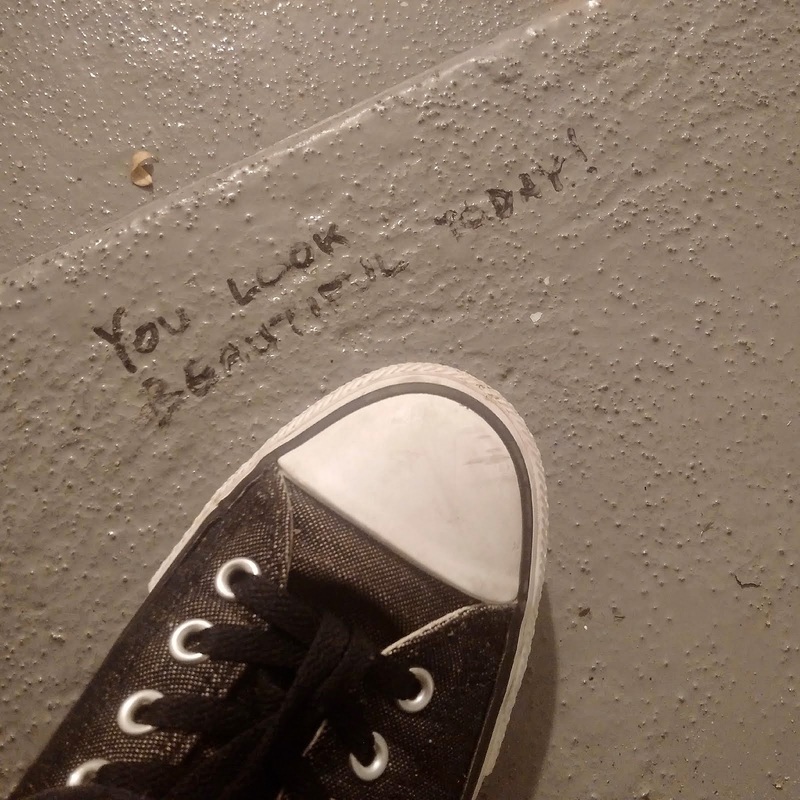 But as I was heading back to my car in the parking structure beside my office last night, I was stopped dead in my tracks by this ink-scribbled missive on the bottom stair. In the wake of yesterday's trauma in our national capital (see here if you're just joining us), perhaps more spontaneous vandalism like this might add some good karma to the universe. I often wonder if the individuals who commit these crimes - radicalized, disconnected, hopeless - would have been influenced in some way by seemingly little things like this. Would they have been stopped in their tracks, too? Would they have decided to change direction, perhaps return to a peaceful, community-minded life? We'll never know, but there's someone out there in London, armed with a Sharpie, who seems intent on finding out. Whoever you are, you have my thanks for at least trying to change the landscape. And us. We all need some graffiti like this, don't we? Oh I bet they would! These kinds of finds are the best. Sure sometimes, we stumble upon a weak spirited person, leaving uninspiring words, but even then it brings pause to our day, and we feel a moment of compassion for the author, knowing sometimes life isn't easy. I take pictures of my foot, too, Carmi! Out for a walk one day we came across chalk signs and it became apparent that a group of little ones had decided to brighten everyone's day! "Three jumps here!" and a little way on, " Twirl round on the spot before you leave this place!." Round the next bend " Are there any birds singing nearby?" and then 2 mins later it was " Can you stand on one leg?" Can't remember what the final ones were, but they're somewhere on my site.